Hornets' Nest: the Story of Charlotte and Mecklenburg County was published in 1961 by the Public Library of Charlotte and Mecklenburg County. 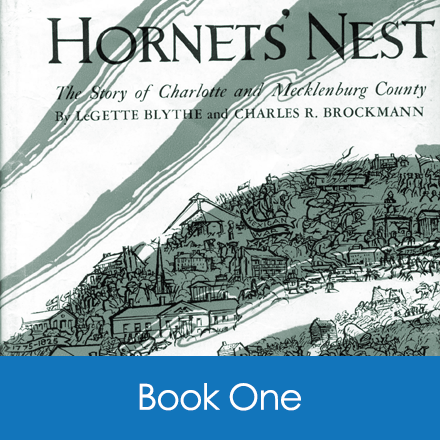 Although now dated in its approach and lacking in coverage of the latter part of the twentieth century, this book by William LeGette Blythe and Charles Brockmann continues to be a comprehensive source of Charlotte and Mecklenburg County history. "The County Town of Mecklenburg"